2. Comment on do follow blogs and make sure these blogs are relevant to your own blogs. 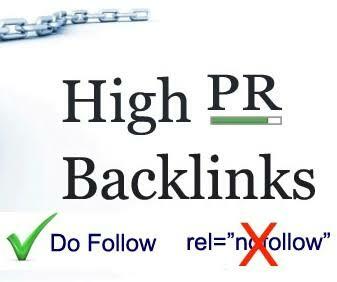 They might not carry too-much of link value, but it will still be beneficial for overall link-profile of your blog. 5. Social bookmarking is also considered as backlinks and you should target following network: Google plus, Twitter, Facebook, Pinterest to name a few. 6. Make Use of Discussion Boards by Linking to Your Blog in threads. Quora is one such HQ discussion board. 13. Write a mail to influencer who write on the same topic and encourage them to share it on social-network. You never know how much one sweet email can make a huge-difference. 15. Network with other bloggers in your niche (Online and offline) and links will automatically follow you. 20. Work on making your blog go viral on top social bookmarking sites, this alone can bring you tons of quality backlinks from authority sites. 22. Make use of press releases, and send press-release about important updates from your blog. You can also compare best product in your niche and send a press-release on the same. 23. Submit your rss feed to rss directories, here is a list of rss directories to get started. 24. Most forums have a website review forum, review your blog on this forums. 26. Release a free wordpres plugin and include a link to your blog in it. But don’t keep it sitewide, as sitewide anchor text links are bad. 28. Convert your blog posts to pdf and submit it to document sharing sites, here is a list of document sharing sites for you to get started. 30. Do a weekly link love post and link to many bloggers, they will most likely return the favor. Take advantage of outbound link SEO. 31. Interview top bloggers and ask them to help you share it on their favorite social networks and their fans will link to your interview. 32. Provide testimonials for marketers and also provide your link when doing so, they will most likely link back to you. 34. Submit your blog posts to blog carnivals. 37. Write news posts and try to be one of the first people to write it. 38. Submit your blog to css directories. 43. Write a post featuring some upcoming bloggers and why you like them, they will most likely link to it. 44. Trade articles with other bloggers in your niche. 45. Submit your site to Dmoz, many other directories use this directory and that alone is enough qaulity backlinks for you. 46. Submit your blog to .edu and .gov forums and blogs, Google so much loves backlinks fom this sites and regards them as authority. 48. Create a Wikipedia Page For Yourself and include your link in the resource section. 50. Write posts that have “the ultimate” in the title, each of these type of post I wrote got over 20 backlinks each. 51. Start a blogging contest and make linking to your blog one of the requirements. 52. Sponsor blogging contest and you will get a lot of backlinks from this. 53. Donate to charity sites, many of them will link back to your site. 54. Build a great tool and many people will link to your tool and your blog. 55. Do a big product launch. 56. Make the news at any cost. 57. Release your own firefox extension and have a page dedicated to it, many people will link to it! 59. Render your services to top people in your niche, for example, the fellow who designed Darren Rowse’s theme was credited at the footer. 60. Write 101 posts, they tend to get more social and natural link love. 61. Design a top bloggers award and give it to as many bloggers as you can in your niche, they will link back to you. 62. Contact your theme designer and tell them to use your website as an example in their portfolio, they will most likely include a link back to your blog. 63. Creat manuals and long tutorial posts on your blog, this type of post do recieve lots of backlinks. 64. Create a great ebook or membership site and make linking to your blog the requirement to get it. 65. Submit your resume to resume directories while linking to your blog in your resume. 66. 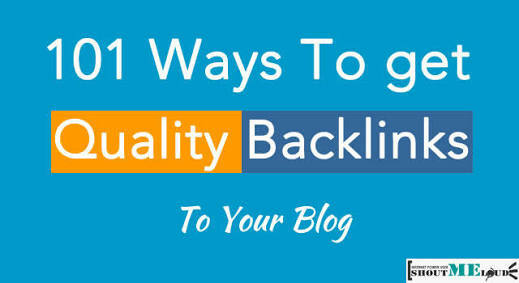 Write how to posts, they also tend to get more backlinks. 67. Write posts that starts with numbers e.g. “7 ways to…”, these type of posts do tend to get backlinks. 69. Join blogging contest and you will most probably get backlinks if you win. 70. Have a “link to us” or “spread the word” page on your blog while asking your readers to link to you – it is important to make it easy for them by putting your direct html code there using your desired anchor text. 71. Submit your website to local business directories, backlinks from these sites are regarded by Google as authority. 72. Write on about.com and link to your blog in it, this will likely be crawled and used by a lot of websites thereby increasing backlinks to your blog. 73. Make effective use of april fool. 74. Do very costly jokes on your blog but indicate it is a joke underneath the post (tricky? ahah! ), e.g., “Apple has bought Google for $260Billion”, something like this will get tons of links and retweets before people even know that it is a joke. 75. Create niche specific tutorials, which are not only unique but help the community. Such tutorial articles get lots of backlinks. 76. Create viral youtube videos and inlude links to your blog in the video and its description. 78. Offer lots of free downloads on your blogs. 79. Update your blog regularly because this will make more people trust your website and it will also make you rank for more keywords which means more traffic and eventaully more backlinks. 80. Write a great post with a lot of pictures in it – let the post be pictures only. 81. Write a post comparing various companies and services and which is the best, the best comapny will most likely link to it. 82. Compare different top products and link to them, people will most likely link to it e.g. You can comapre a mac with a PC. 84. Create a directory for your blog and make it important to reciprocate links with you by giving those who link to you higher placement and giving them free featuring on your homepage. 85. Beta test a lot of products and give your review and tips on improving the product, the owner might just link to you. 86. Run surveys on your blog and publish the results for everybody to see, if the survey is good and helpful you will definitely get a lot of backlinks to your blog. 87. Write a list of the “top 10 myths” or “top 10 mistakes” about something. 88. Position yourself as an authority in your niche and try to get attention from the media. 89. Offer to speak at events and seminars related to your niche, don’t forget to mention your blog while introducing yourself, this will most likely help you get some backlinks. 90. Have a special writing style that attracts people. 91. Be transparent on your blog. 93. List your product on Ebay or Amazon and include a link back to your blog. 94. Create a podcast and submit it to Itunes, link back to your blog from it. 96. Write a great and very useful whitepaper and ask your blogging friends to help you distribute it around the web, make sure you inlcude a link to your blog in the whitepaper. 97. Run a contest giving people physical products for free, make linking to your blog a requirement to join. 98. Try to know which stories are hot (Trending stories) at the moment and make sure you blog about them. 99. Blog about very important events such as the independence day and the likes. 100. Start your affiliate programme. 101. Create a news section on your blog with regularly update news in your niche and you will begin to get links fast. 102. Take note of newspapers and magazines that are willing to feature experts in many fields and try to write about your niche while linking back to your blog. Next Post content platform and placment how to boost your brand?